Diodes are usually when current is flowing through a diode, the voltage on the positive leg is 0.65 volts higher than on the negative leg. Diodes are components that allow current to flow in only one direction. They have a positive side (leg) and a negative side. When the voltage on the positive leg is higher than on the negative leg then current flows through the diode (the resistance is very low). When the voltage is lower on the positive leg than on the negative leg then the current does not flow (the resistance is very high). The negative leg of a diode is the one with the line closest to it. It is called the cathode. The postive end is called the anode. 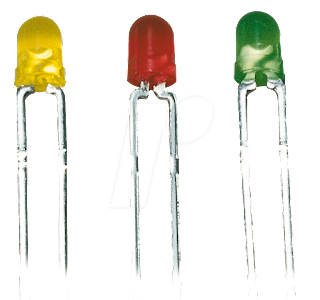 Light Emitting Diodes are great for projects because they provide visual entertainment. LED's use a special material which emits light when current flows through it. Unlike light bulbs, LEDs never burn out unless their current limit is passed. 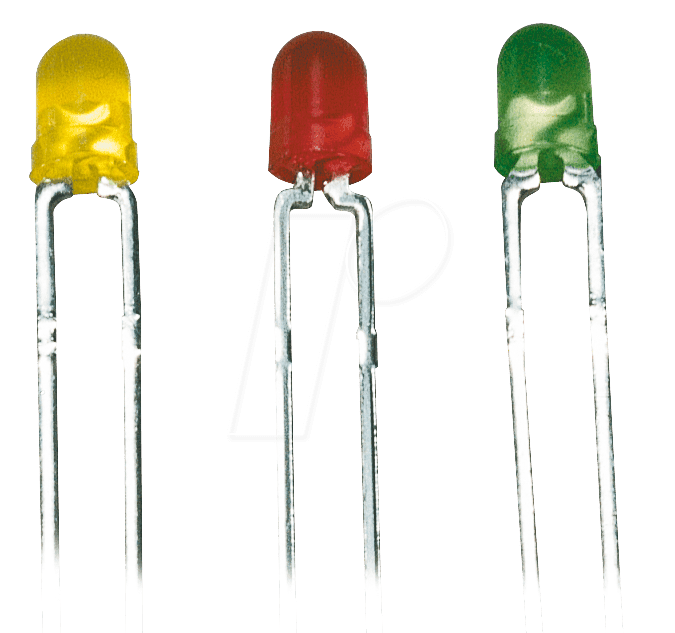 A current of 0.02 Amps (20 mA) to 0.04 Amps (40 mA) is a good range for LEDs. They have a positive leg and a negative leg just like regular diodes. To find the positive side of an LED, look for a line in the metal inside the LED. It may be difficult to see the line. This line is closest to the positive side of the LED. Another way of finding the positive side is to find a flat spot on the edge of the LED. This flat spot is on the negative side. When current is flowing through an LED the voltage on the positive leg is about 1.4 volts higher than the voltage on the negative side. Remember that there is no resistance to limit the current so a resistor must be used in series with the LED to avoid destroying it. 0 Response to "Diode's and LED's (Light Emitting Diode) Woking and Symbols"